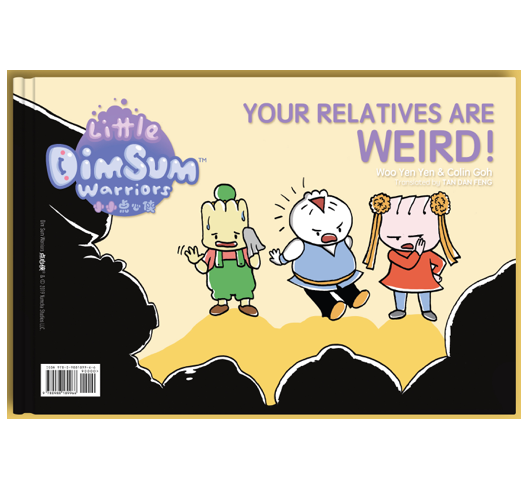 Home › Little Dim Sum Warriors: Your Relatives are Weird! 你的亲戚好奇怪! The acclaimed DIM SUM WARRIORS are back — in bite-size portions for little ones! 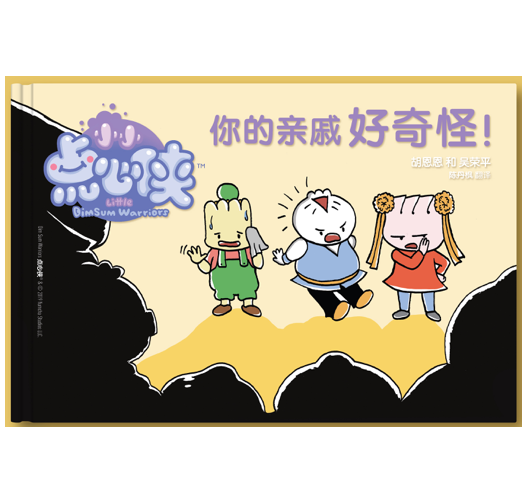 LITTLE DIM SUM WARRIORS 小小点心侠, is a bilingual children’s comic and app series featuring characters from the acclaimed Dim Sum Warriors graphic novel series. In this second installment, Xiajiao and Shaomai meet Chashao Bao’s relatives and their first impression is… relatively weird. Readers are sure to have their vocabularies extended in this hilarious tale of misimpressions! Specially designed to help kids between 3-6 years of age learn Chinese (and translate from English!) in a joyful way, the series features hilarious stories and adorable art by award-winning creators Yen Yen Woo and Colin Goh, with pedagogical design by education expert Dr. Woo in collaboration with pre-eminent Chinese translator Dan Feng Tan. The books are accompanied by a bilingual interactive app featuring audio readalongs, tappable text and activities to let you play with what you’ve learned! We'd like to make your Christmas a 包-werful one so if you place an order before 10 December, all books will be signed and doodled in by Colin and delivered before Christmas Eve!